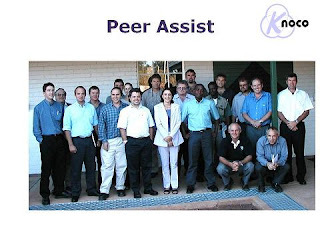 A Peer Assist - a meeting when a project team seeks input of knowledge and advice from experienced peers - is one of the most effective tools in the KM armoury. It is demand-driven, the knowledge which is shared will almost certainly be reapplied very quickly, the knowledge is brought into the project in its richest form (in the heads of experienced practitioners) and the diversity of viewpoints within a peer assist helps eliminate many of the common cognitive biases. However a Peer Assist is costly in time and (in the case of multinational companies) in travel costs. It is not something that can be done quickly, as it takes time for the visiting peers and the project team to fully understand each others' contexts. A Peer Assist for a major project may take days.